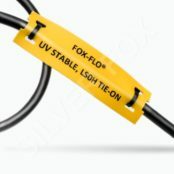 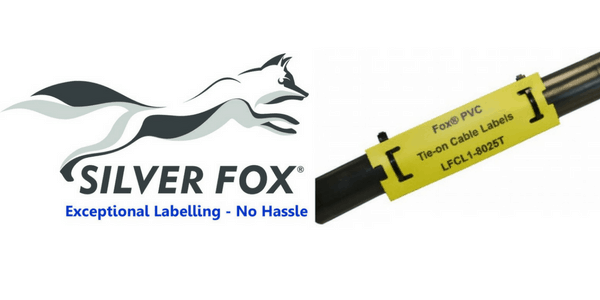 Silver Fox Fox Tie-on Cable Labels are designed from low cost tough PVC suitable for general commercial application – thermal cable labels can be printed in conjunction with Fox-in-a-Box thermal printer using the TSR3 thermal ribbon. 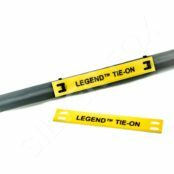 The tie-on cable labels are available in yellow, white and yellow with green stripes with one thermal ribbon able to print approximately 3000 labels (LCP1-8015T 80mm x 15mm). 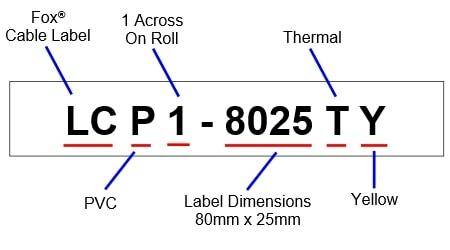 The cable labels have been in-house tested for exposure to high and low temperatures. 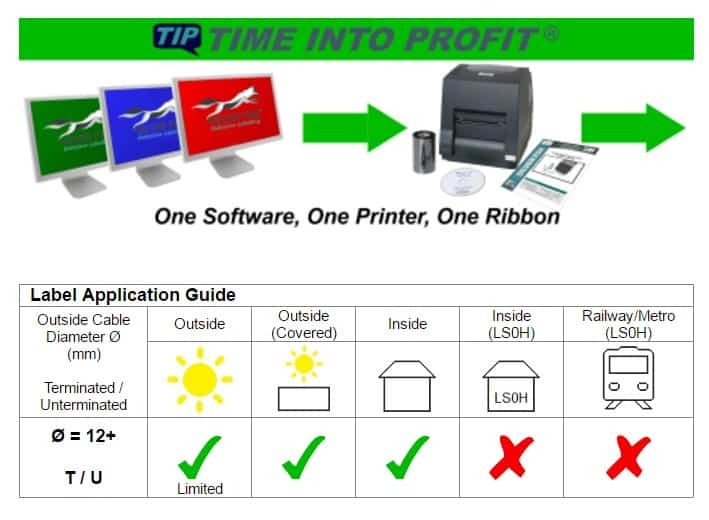 *Specify colour when ordering Please note: colours shown are for indicative purposes only and do not represent the actual colour of the label.